Here’s something you might not like at all if you’re a driver - even using a Bluetooth hands-free device to accept calls while driving is too dangerous, the National Transportation Safety Board (NTSB) concluded in a study. The NTSB has recommended that it be banned across the country. "There is a large body of evidence showing that talking on a phone, whether handheld or hands-free, impairs driving and increases your risk of having a crash," says Anne McCartt, senior VP for research at the Insurance Institute for Highway Safety. The board is not delegated the power to force states to impose a ban on hands-frees while driving but the recommendation alone should be enough of a warning for careful drivers. And while this might just sound hugely overblown, the NTSB has the scientific data to back up its recommendation. A National Highway Traffic Safety Administration official went over 300 records and saw no evidence that using a Bluetooth hands-free rather than driving with one hand and speaking on the phone with the other is are any different. The same was confirmed by the government of Sweden recently. The danger could also be hidden for people as usually they don’t fully realize how distracted they are when trying to multitask instead of focusing on driving, Marcel Just, director of Carnegie Mellon University's Center for Cognitive Brain Imaging explained. What this all confirms though is that while it’s true that the brain can multitask, it does so with reduced attention to each task. So even if that ban doesn’t reach any state at all, let’s not forget that we’re all subject to risks on the road and keep distractions to a minimum. and shut down all drive throughs. How many people have to die digging for that last stray French fry at the bottom of the bag? Or the radio and navigation. Hey NTSB, why don't you stick to something you're good at, which is like most bureaucracies. NOTHING! Talking on a bluetooth earpiece is no more distracting than having a conversation with a person next to you. This is another "WE HAVE POWER AND YOU DON'T" witch hunt. Texting? HELL YES! Ban that crap, and cane anyone you catch doing it! But talking?? Seriously guys, y'all are a bunch of math nerds that never got over not being cool and still aren't cool, so stick to investigating accidents and finding someone to blame. 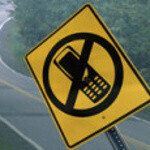 At the end of the day, a law will never pass banning handsfree or cell phones in cars, so get over yourselves. Hey, maybe one of you dorks can investigate your own accident from talking to whomever on the way to an accident because you were on a bluetooth! But on the flip-side, make it mandatory that a hands-free device be used. I totally support that. I would have to say, when I have a bluetooth in I am totally distracted from driving still. Sometimes i'm driving and think "wow, I don't remember driving that last ten miles because I was so distracted with my conversation." The same exact thing happens when you drive with someone next to you. Then, should passengers be banned as well? O come on handsfree? Really? Some lady made me real mad when she was waisting my time. I was waiting for her to back out of her parking spot and she was talking on her phone, lighting her cigerette and trying to turn out of the spot all at once. I almost yelled at her cause her window was down. I think doing all of that at once is a def. ticket and distraction to driving. Danger! Talking while driving is dangerous, the danger is inexplicable. Do not talk to your kids! Do not talk to spouse! Do not talk to any passenger in your car! Doing so may cause a dangerous accident and all dee peoples in all dee worlds will come to dangerous deaths. Just shut-up and be quiet while driving a vehicle, lest you want to be dangerous! Oh, wait. I guess that's too much to ask. Just keep your hands on the steering wheel and we'll be happy. Have a nice day. I have had a cell phone since 1989, and never ever had any issues talking and driving. I just think it depends on a persons mental ability. I have been more distracted trying to change a radio station, than talking on a cell through a blue tooth. To me there is no difference between talking on a cell or someone in the car to talk to. Personally I just think it's another form of control, and revenue gathering. Some people need to focus on driving rather than talking and driving period.....I think that's the issue. I know people that can't talk and walk let alone talk and drive. It just comes down to mental capacity of that individual. Some people are horrible at multitasking, then again some people are just plain horrible at driving to begin with even with absolutely no distractions in the car, they create their own distractions by not concentrating on driving or concentrating too much that they overcompensate and make disastrous mistakes. Using hands free isn't what's distracting, its the conversation itself when you become to engrossed in the conversation and delegate more thought to that than actual driving that is when it is a problem. I've driven and used hands free many times while speeding no less and I don't take my eyes off the road for a second, why do I need to look where I'm speaking? NTSB needs to stop the bull crap, distractions are always present in cars, they are just looking for a viable way to get money since you can't use well the officer pulled her over because it looked like she was yelling at her kids in the backseat of the car and wasn't paying attention to the road. No one is going to allow a law like that, but something like talking on a hands free cell system, yea that can make it past law makers because you know it makes all of them money. People if you are crappy at paying attention by default, just don't drive a car period. I watched that show last year about America's worst drivers and I couldn't believe that some of these people actually passed the road test and we allowed to drive on public roads at all. Now I get to witness this sort of mayhem on the road all the time, people who can't judge width, distance nor approximate depth. Horrible parallel parking, blind lane switches don't know how to line up a car to drive through two closely parked vehicles. It's a miracle they haven't killed people with how they make bad judgements with a lethal weapon that a car is. Driving tests should require more hours spent learning and it must be documented, many drivers have no idea what a Yield sign means, lol, worse yet no idea how to tackle an intersection with stop signs on both intersecting roads. Ahh the comedy and scary things I witness from day to day. Not to mention fools who love to talk on their phone and drive in between lanes then get upset when you hit the horn to get them out of your way. yay, wrong but still want to be right.